Do you have a creative writer’s block? Don’t worry, you aren’t alone! It’s VERY common to have a writer’s block. You tend to lose motivation, you don’t know what to write about next, or you simply don’t have the urge to create! I often get asked, how do you overcome a writer’s block? Which is why I decided to put together this list of ways that I deal with overcoming my own creative blocks! I hope you find these tips helpful! Disclaimer: Affiliate links are used and you can read my disclosure here. This is by far my favorite thing to do when I have a writer’s block! Sometimes you just need to have a brainstorming session. First, I will sit down and put on some quiet music that usually sparks inspiration. (for me it’s jazz, random I know) Then, I will channel into my inner creative mind and brainstorm blog post titles. Once I write down a few ideas, it’s like a creative wave takes over and the ideas start flowing! I like to save my list of blog post ideas so when I am feeling a writer’s block come on, I can look back at it! Usually I will read my ideas and one will pop out over the rest! That’s when I know I need to write about that topic next! I will also set a 30-45 minute timer. I ALWAYS make sure to brainstorm for at least 30 minutes. Try to brainstorm every other day! It can be really helpful. Is it just me or does rearranging your space spark inspiration? I am someone who LOVES change. I can’t keep my space the same way for too long, otherwise my creativity gets blocked. In order to get myself out of a writer’s block, I rearrange my space! Sadly, I don’t have an office space in my home YET! BUT I do enjoy rearranging my bedroom or living room to spark creativity. Fill your space with things that inspire you, motivational quotes, your favorite scents, photos that spark inspiration, etc. Sometimes the only way to solve a writer’s block is by reading a motivational book! I am a sucker for self help/mindset books! I always feel motivated to create after reading them. I love going back and editing old content! It sparks my creative energy! PLUS, I will admit, my older content is not all that it could be! I know I am not the only one with embarrassing and messy content from when I first started out as a blogger. Going back and editing older content can also help with SEO and growing your blog traffic! Having a monthly blog vision almost eliminates all of my writer’s blocks! A monthly blog vision is a rough draft of your content schedule for the month. You would take your brainstormed blog titles and place them out throughout the month. This helps you know in advance which post should be written and published by which date! It also makes sure that you never run out of ideas! I go in depth about my monthly blog vision in this post & I mention 100+ blog post ideas! If you are looking for a vision planner, this planner is my absolute favorite! 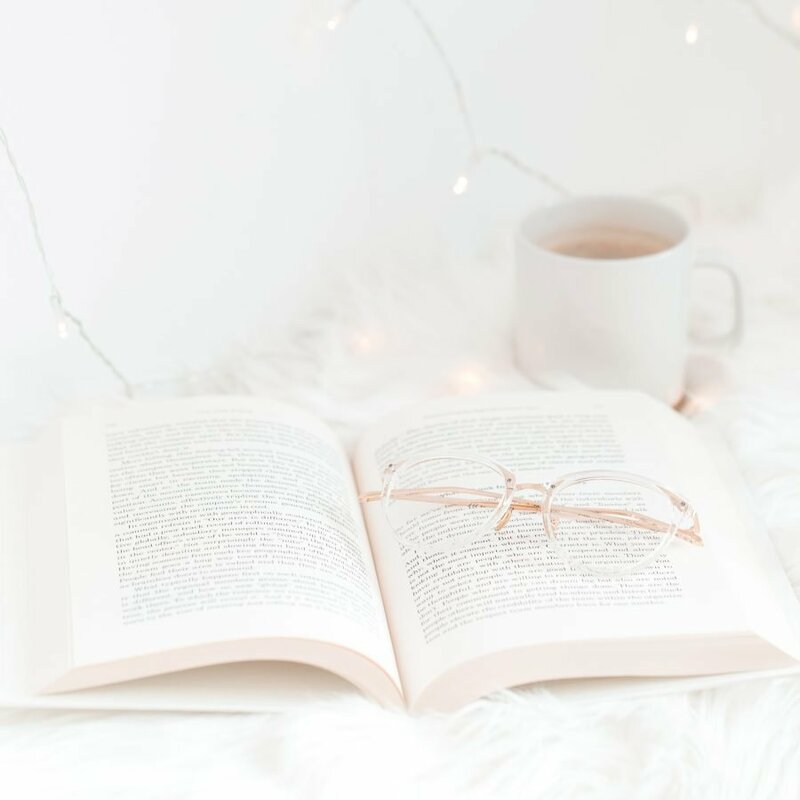 If you work from home like me OR if you dedicate days that are solely for blogging, I think it’s important to make sure you are incorporating breaks into your daily schedule! I find that the longer I work on my content without taking a break, the less motivated I become. I like to take 15 minute breaks every 2 hours or so! This helps me recollect my thoughts and have a much needed breather. Do you have a blog buddy yet? Sometimes it’s refreshing to have a friend who knows what it’s like to have a writer’s block! Chatting with a friend or another creator can help bring back motivation that you might have lost. Even scheduling brainstorming sessions with another creator can be really beneficial! It gets those creative juices flowing again! Have you ever thought about taking your work elsewhere? Like a coffee shop, library, or a friend’s house! Sometimes all it takes to unblock your creativity is to switch up where you are working from! Since I work from home it is so easy for me to become unmotivated! I need to get myself out of the house to get my motivation back. Working from elsewhere can really help with this! It may just be that you need to take a break from creating content and focus on something else. We all have our days where it’s just not working out! No matter what we try, we can’t get out of the funk we are in. That’s okay! It’s okay to take a break and come back to it the next day. If that’s what you need to do to get out of a writer’s block, then do it! Don’t stress it. I definitely need to do better at creating a monthly blog vision! Great tips! I love the idea of working in a coffee shop instead of my living room couch! Maybe if the weather is good a nice park nearby would be fun for an hour or two as well! Thanks Ell! Yes! I totally agree with that! Thank you so much! I’m always organizing my room, I really enjoyed reading your blog, I’m going to take this to life. These are such great tips. I know that I sometimes get frustrated when creating. Rearranging my space always helps me as well. Or cleaning. If I’m not being productive, sometimes I’ll clean the whole house and then get back to it! I think when things are cluttered it stressed me out because I know there are other things that need to be done. I’ve heard some great things about the books that you listed! I haven’t been reading very much lately but I definitely want that to change. Wishing you all the best with your creativity this month! Thank you so much Alexx! & I totally agree, cleaning helps a ton to unblock that creative block! I feel so much more cluttered too when my house is a mess! Hope you have an awesome month too! Thank you, I have all these (GREAT) ideas when I’m away from my desk but when I sit down I lose all of my focus. I’m going to try out your suggestions and see if they help. I hope they help!!! You aren’t alone with that! Awesome ideas here! I also have to move things around- it has always done something for sparking new ideas. Even just straightening up a bit helps! Right?! I love switching up my space! Thanks so much Taylor!! Love these tips! I always have writers block and googling doesn’t help 😂 Gonna try brainstorming! Thank you so much Lorena! So glad you found them helpful! Super useful tips! I find that taking a break helps me focus and come up with more relevant content.